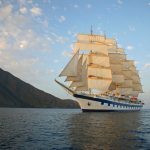 Star Clippers is offering ten themed itineraries on board its three tall ships in 2019, during sailings in the Mediterranean, South Asia and Caribbean. These include five with yoga practitioners on board, and others with a celebrity fitness instructor, famous fashion stylist, Italian chef and published author in Mediterranean history and archaeology. 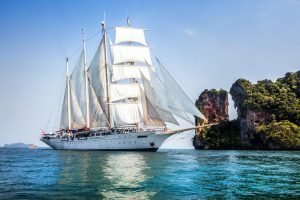 Star Clipper’s yoga sailings offer sessions on deck early morning and at sunset. Stretching beneath billowing sails, with the sun warming the teak decks is a magical way to begin your day. Former model and celebrity personal trainer Joel Harper, whose clients include Olympic medallists, actors and musicians, will bring his custom workouts to guests on board Star Flyer’s sailing from St. Maarten on 23 March 2019. Two archaeology-themed cruises, accompanied by historian and author Renata Scheiper, are scheduled for May 2019. These will sail from Athens around the Cyclades islands, discussing ancient Greece and the archaeology of the Mediterranean. Seven nights in the Leeward Islands in the Caribbean with celebrity personal trainer, Joel Harper, start from $AUD2,699 per person (including 20% early bird discount valid until 31 January) including all meals, excluding flights.